Is it OK to Drink Ginger Beer When Pregnant? You've undoubtedly heard that you need to avoid all alcohol during pregnancy, because there's a risk of harm to your developing baby. As such, you may wonder whether ginger beer is safe to drink. Nonalcoholic ginger beers, which are similar to ginger ale, are perfectly safe. Alcoholic ginger beers, however, are not. Ginger beer is a catch-all name for a variety of different beverages. There are nonalcoholic ginger beers, which are nothing more than ginger-flavored sodas, similar in taste and composition to ginger ale. There are also some microbreweries that produce alcoholic beverages containing ginger -- these are commonly called ginger beer as well. While nonalcoholic ginger beer is perfectly safe during pregnancy, you should avoid alcohol-containing ginger beer, as you do all alcoholic beverages. The reason it's important to avoid alcohol-containing beverages, including ginger-containing beers, is that they can lead to developmental defects in your unborn baby. There is a variety of disorders, some of which are physical and some of which are mental, that result from consumption of alcohol during pregnancy. Though these show up most commonly in the babies born to women who drink routinely and heavily, no amount of alcohol during pregnancy is considered safe. There are also alcohol-free beverages available on the market called ginger beers. These typically include carbonated water, ginger or ginger flavor and a sweetening agent. They're completely safe to drink during pregnancy and, in fact, may help with your pregnancy-related nausea. 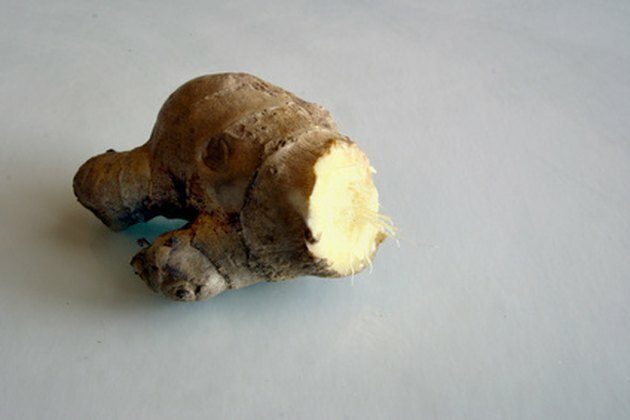 Heidi Murkoff and Sharon Mazel, in their book "What To Expect When You're Expecting," note that ginger is a natural anti-nauseant and is a popular nonpharmaceutical remedy for pregnancy-related queasiness. While alcohol-free ginger beer won't damage your baby during pregnancy, you may need to avoid overconsuming it. Like all soft drinks, sugar-containing ginger beers are high in calories and low in nutrients, meaning that they can put you at risk of gaining too much weight during pregnancy. You may also wish to avoid ginger beers containing artificial sweeteners, because these -- including sucralose and aspartame -- haven't been proven safe for use during pregnancy.